Shoulder extension is one of the underestimated movements that are quite important for your well-being, looks, and athletic performance. As athletic and fit as we feel we are—working out in the gym, playing tennis, running, doing yoga, or other sports—we sit too much, and our posture suffers. Most of us have chronically tight shoulders, chest (especially the pectoralis minor) and biceps. 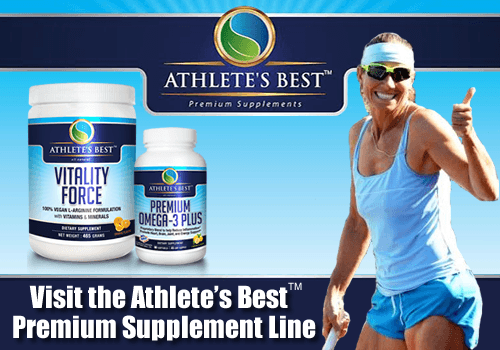 This tightness is not only dangerous for the visual, but also for your athletic performance. Especially, if you are a tennis player or if you do a lot of movements with arms above the head. To relieve chronically tight shoulders, we have addressed a few great exercises before, such as shoulders dislocates or plain hanging. Today, you will find a few lovely exercises that will improve the shoulder extension, which will make your shoulder mechanics better. If you sit a lot, try to do the following practices every day. Sit on the floor with the arms behind you and fingers pointing away from you. If you are flexible enough, make the fingers touch. If not, just do what you can now, and it will get better over time. Pay attention that both arms are evenly far from your body. Sometimes, what we feel is even is not what it is—especially if you have imbalances. Now walk your hands as far away from you as you can. Or maybe it is a bit easier to push your hips forward as much as possible until you experience a great stretch in your shoulders, and perhaps even in your biceps. Hold the position for 60—90 seconds. As you relax more, you may move your hips even more forward. Sit on the ground, placing your hands behind you shoulder-wide and fingers pointing away from you. Bend your knees at 90 degrees and put your feet hip-wide apart. Pull your shoulder blades down and together (think a long, turtle-like neck) and engage the glutes in pushing your hips up toward the sky. Keep the shoulders above the wrists. Preferably, your hips should be at the same height like your shoulders and knees. From the side, you will be looking like a table. You may feel this stretch in your chest and biceps as well, in addition to your shoulders. Pause on the top, squeezing your glutes, then return slowly and with control to the starting position. Repeat 20 times. Sit on the floor, hands behind you, shoulder-wide, and fingers pointing away from you. Keep your feet together and engage your quadriceps vigorously at all times. Now engage your glutes and push the hips up, so your body is in a straight line. Your shoulders should be above the wrists, your core, glutes, and legs engage all the time. Hold for 60 seconds. This exercise is quite advanced, and it shows you what is possible if you practice your shoulder extension regularly. The movement and idea are similar like in the shoulder extension stretch, but you are hanging off a bar. The gravity is adding a tremendous pull. You need to be conditioned well to do this exercise, so don’t even try it until all the above drills feel easy. And even then, proceed slowly and gently. First, make your body lighter by supporting yourself on both legs. Then maybe you can lift one leg, and eventually, you will be able to raise both of them. When you are strong enough, you can even lift them up into an L-position. With all the above exercises, be patient and don’t rush to achieve surprising results too soon. You’ve messed up your mobility for really long time with your sedentary lifestyle, so be patient now with correcting the issues. It can take many long weeks or even months and years for the worst cases. Remember that even a small improvement of your shoulder extension will make you feel better than you are feeling now, thus make it a daily habit and enjoy the journey. 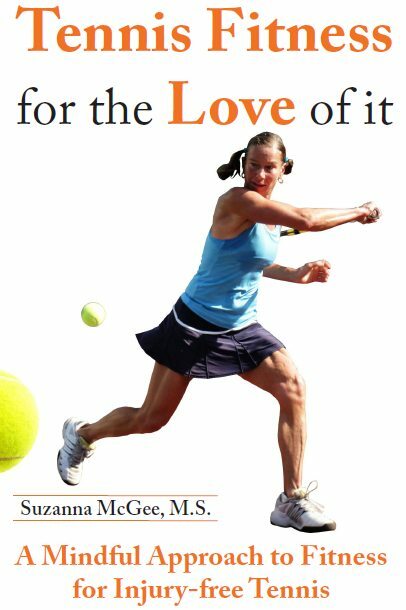 While the above exercises are not in my little book “Tennis Fitness for the Love of it” if you would like to get other exercises, stretches, and myofascial realize tips to improve the imbalances in your body, find the book on Amazon, in print or Kindle. Enjoy the reading, and most of all, practice the craft, too. 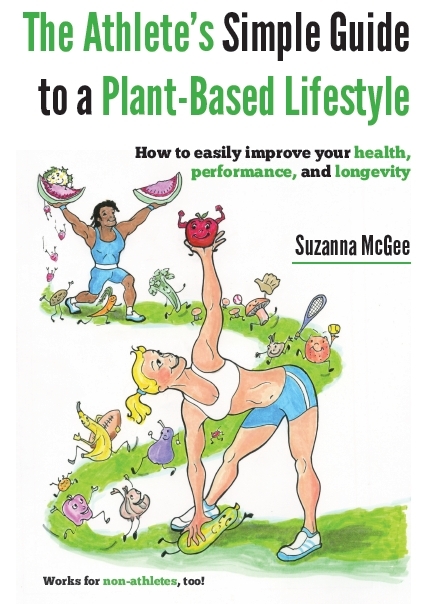 Would you like to get more information on how to use the power of plant-based nutrition for your training, check the “Athlete’s Simple Guide to a Plant-Based Lifestyle” (in print, kindle, and audio).